Is adding for profit geriatric care management to a non-profit a good business decision? Does a for-profit Geriatric Care Management business fit into a non-profit senior services agency? Have you weighed the chances of the cultures of non-profit and for profit geriatric care management culture succeeding together? Have you studied the geriatric care management competition in your area? Have you done a market survey? 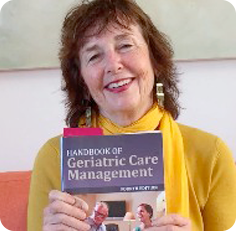 In order to make this business decision it is best to do a market feasibility study before you move to add for profit geriatric care management model to your senior non-profit. Launching a feasibility study to measure whether a GCM would really be profitable into your and geographical area is a critical move before you add a for profit GCM. Whether you complete the analysis yourself or hire an outside consulting firm to do this market feasibility study, this evaluation is a good business move and may save your non-profit many dollars invested and regretted decisions.